Viewing 24 of 1129 items. Celebrate the season with our foil stamped Christmas photo cards with a gold foil Happy Chanukah Starburst design. Matching blank envelopes are included. 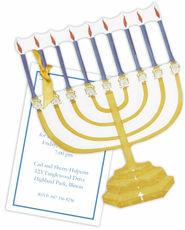 Photo cards come with a fully designed card..
Make sure your gift stands out this holiday season with this set of holiday gift stickers featuring a beautiful menorah. Gift stickers are printed on matte stock. Size 2.5" x 2.5". Flat.. 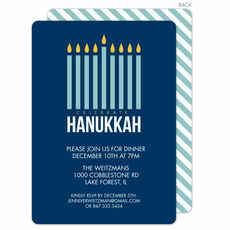 Invite friends and family to join your celebration with this set of Hanukkah invitations. Matching blank envelopes are included. Invitations come with a full printed back as shown. 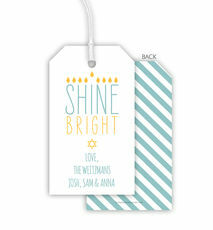 Size of invitations..
A Stationery Studio Exclusive! 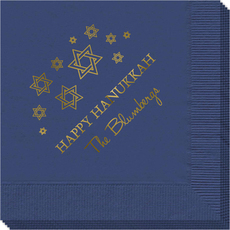 Your Hannukah table will be extra special with these beautiful personalized placemats. These personalized placemats are available as individual laminated placemats or as.. 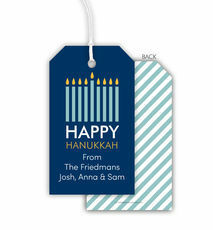 Celebrate the season with our Happy Chanukah foil stamped holiday photo cards. Matching blank envelopes are included. Photo cards come with a fully designed card back as shown. Size of photo cards are..
Help your little one reach for a bit of independence and learn to spell his or her name! Each letter is brightly colored with non-toxic paint and has smooth easy to fit edges. Available in primary or..
Set of quality 3-ply beverage napkins with your choice of napkin color, typestyle, imprint color and positioning of personalization. Napkins and imprint colors are are available in many sizes.Quality..
Set of paper guest towels in your choice of color, typestyle, imprint color and positioning for personalization. Approximate size 4.5" x 8". Napkins and imprint colors are are available in.. 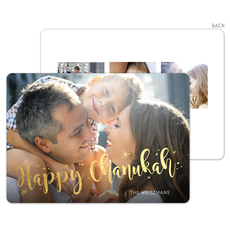 Celebrate the season with our foil stamped Hanukkah photo cards featuring your favorite photo framed in silver foil. Matching blank envelopes are included. 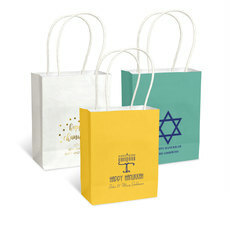 Photo cards come with a fully printed card..
Personalized petite twisted handled bags are a perfect small gift bag at your Hanukkah celebration or as favor bags. 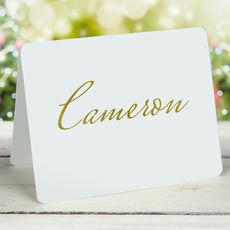 Personalize the boxes with your monogram or initials, a Hanukkah or holiday design,.. 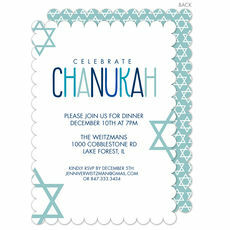 Invite friends and family to join your celebration with this set of Chanukah invitations. Matching blank envelopes are included. Invitations come with a full printed back as shown. Size of invitations.. Celebrate the season with our foil stamped Christmas photo cards with a gold foil Happy Hannukah Starburst design. Matching blank envelopes are included. Photo cards come with a fully designed card.. 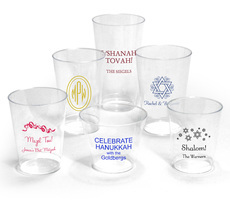 Elegant hard clear personalized cups are ideal for beverage stations at Bar or Bat Mitzvahs, Purim, Oneg Shabbats, Passover dinners, and for casual Yom Kippur break-the-fast meals, and more. 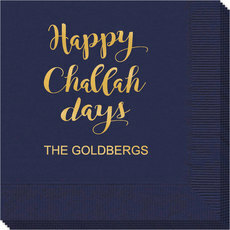 Your..
Personalized plastic plates are perfect for your Jewish celebrations such as Bar Mitzvah, Bat Mitzvah, Hanukkah, Jewish New Year and more. 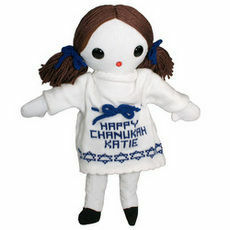 Many Judaic-themed design to select from. 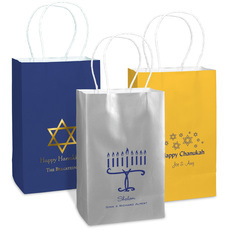 Your choice of..
Personalized mini twisted handled bags are perfect for small gifts or favors at your Hanukkah celebration. Personalize the boxes with your monogram or initials, a Hanukkah or holiday design, your.. 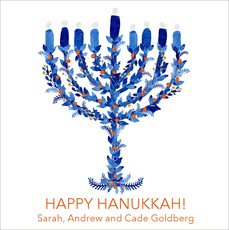 Celebrate the season with our colorful Hanukkah photo cards. Matching blank envelopes are included. Photo cards come with fully printed card back. Size of photo cards are 7" x 5". Flat..